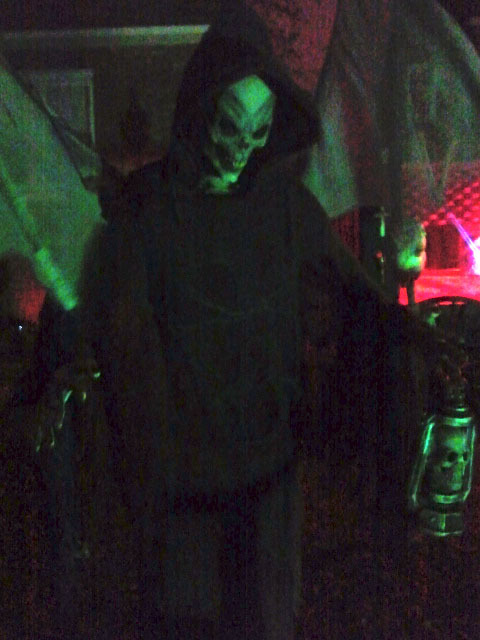 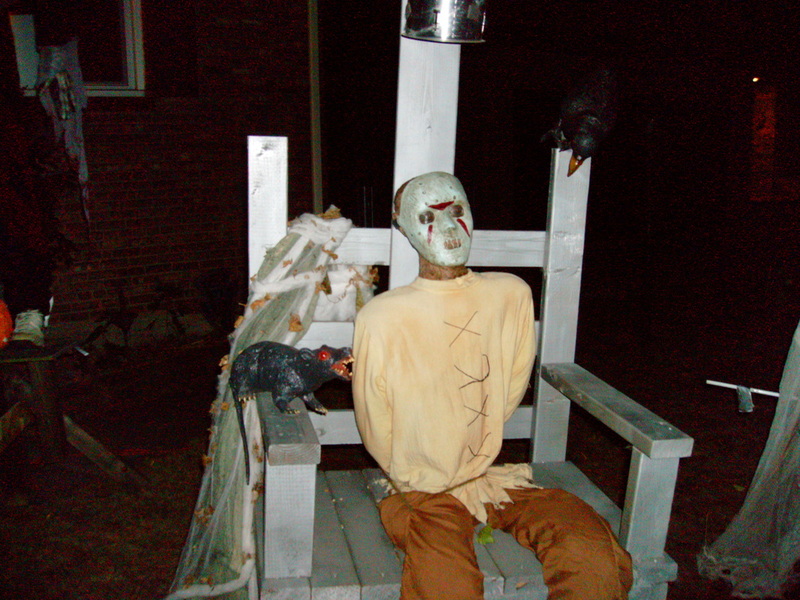 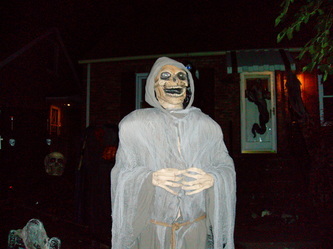 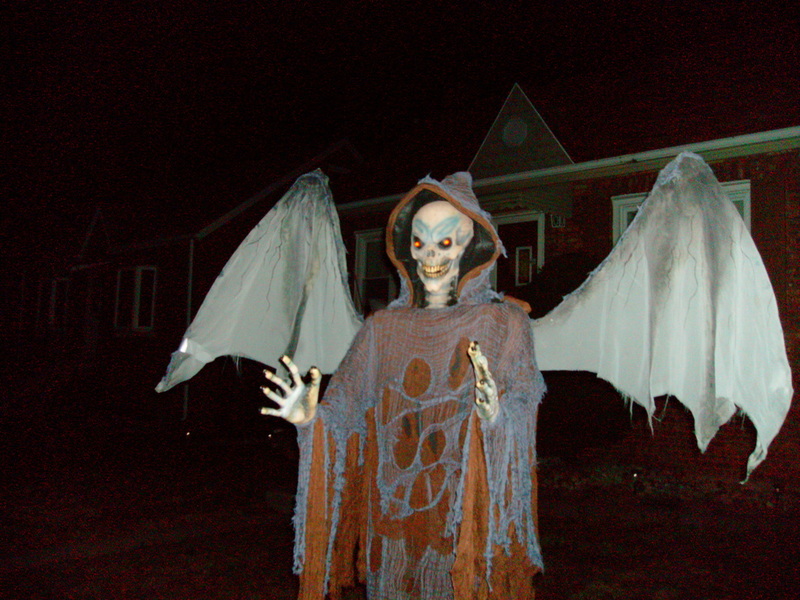 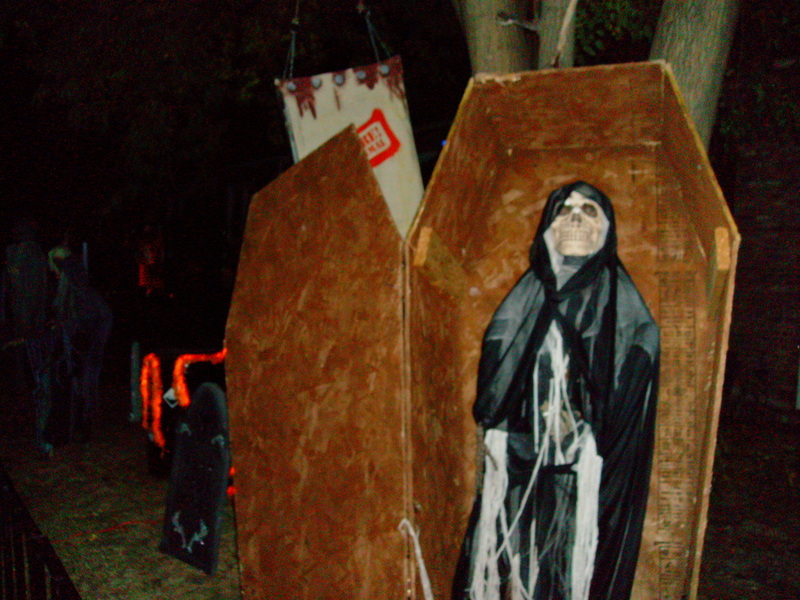 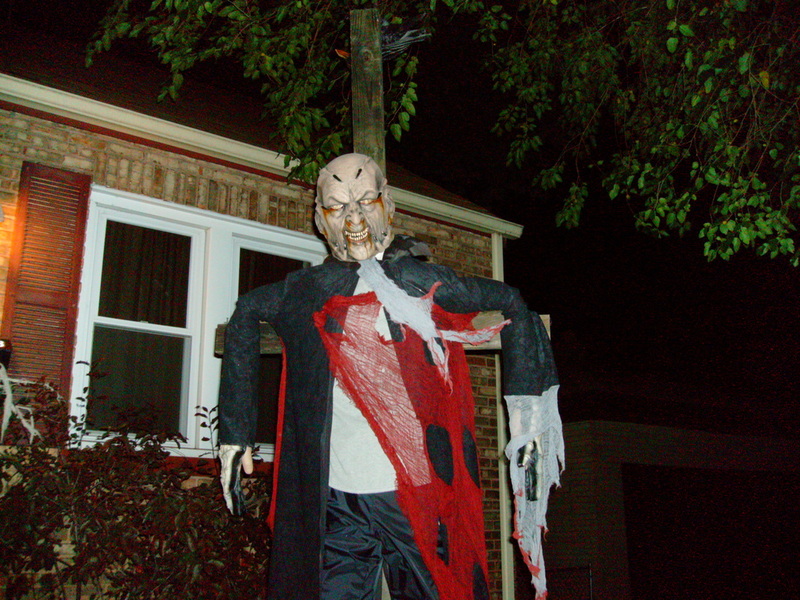 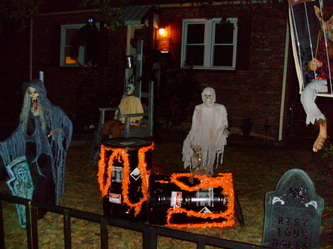 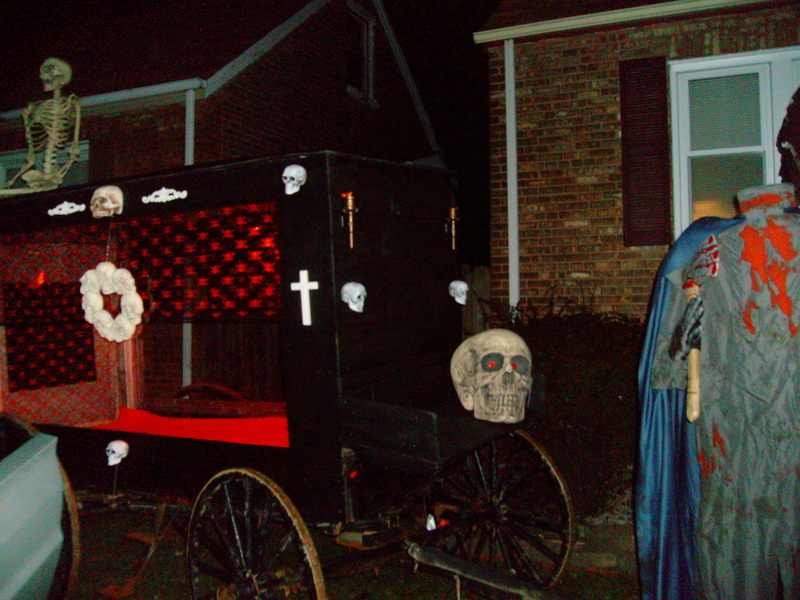 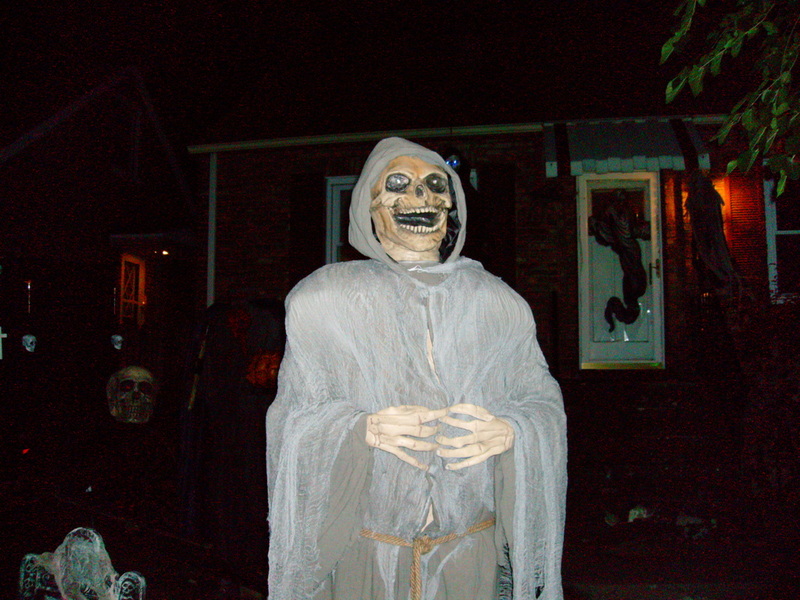 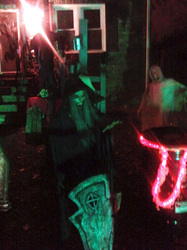 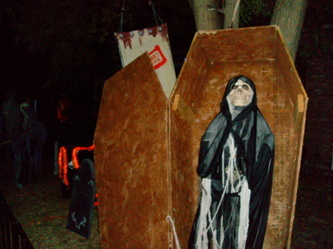 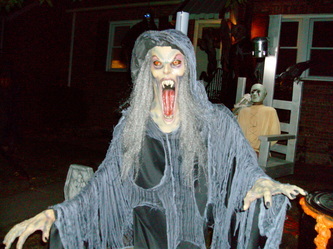 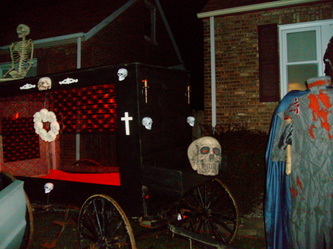 Haunted Hell is a yard display in Lansing, just across the street from Haunted 4 Life. This one, combined with Haunted 4 Life and Haunted Saloon, make up a triple play of interesting displays all on the same block. 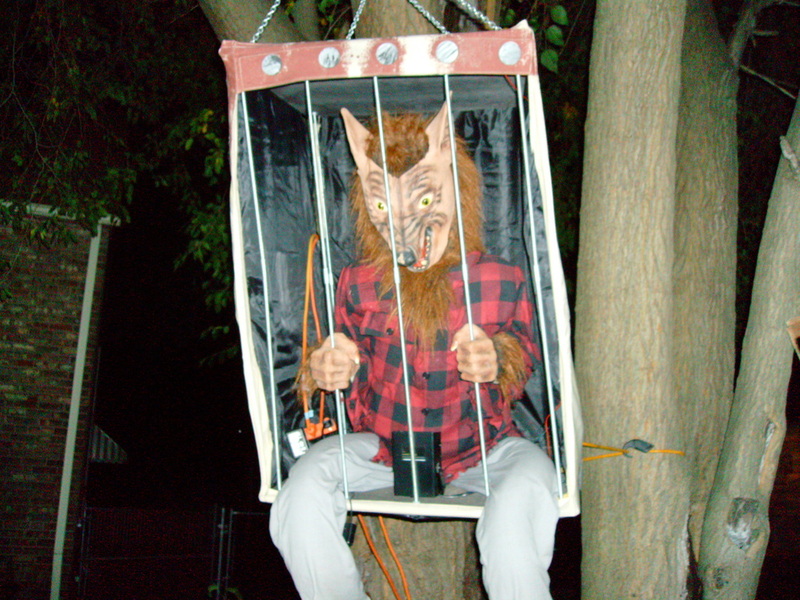 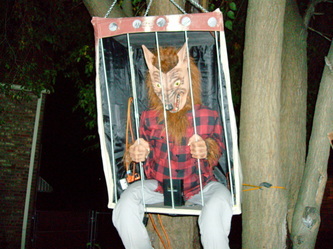 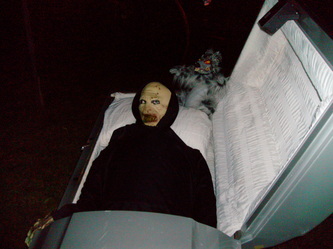 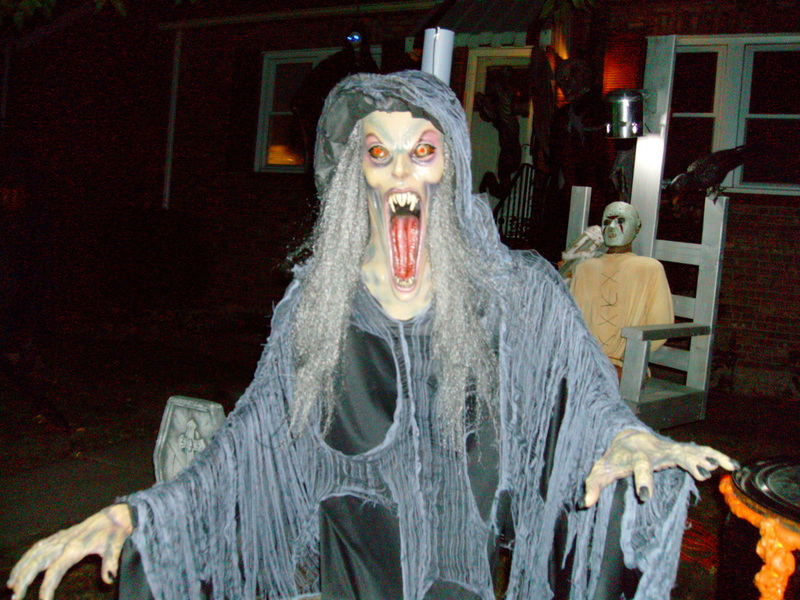 Haunted Hell includes life size figures of a wolf man in a cage, a spooky type keeper, a very realistic dead body in a coffin (which, coupled with the strobe light on it, had the Tourers guess for while whether or not it was a live actor), and an antique hearse. 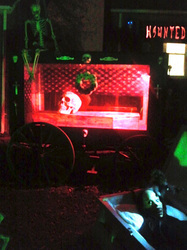 Although nothing is animated in this display, it's worth a look since it's so close to two other haunts.